A year ago I began playing fantasy golf. I remember playing in The Honda Classic as one of the first two fantasy golf contests I ever played. I believe it was the first one where I had a nice score. 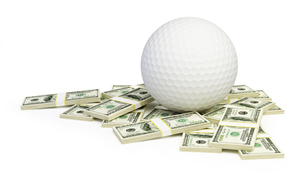 So I decided to publish this weeks picks here on DailyFantasySports101.com instead of where I have usually been posting them, over at WeeklyFantasyGolf.com, a site focused specifically on daily fantasy golf. With those gratuitous links out of the way, here are my Honda Classic sleepers and picks. The tour moves to Florida this week for the Honda Classic. The tournament has been played since 1972, but it’s only since 2007 that the tournament has found a permanent home at the PGA National Golf Club. Previous winners of the tournament have included Lee Trevino, Jack Nicklaus, Johnny Miller, Fred Couples and Rory McIlroy. McIlroy plays this week, his first outing on the PGA Tour since the Tour Championship and with his stated aim of winning the Masters to complete the career Grand Slam, it will be very interesting to watch his progress in the coming weeks. The field has a very international feel this week, many Europeans coming over to play both this week and next at the World Golf Championship Event at Doral. Guys – for $20 bucks you get a shot at $1 Million for The Masters PGA Fantasy Contest at DraftKings on April 9th. I kid you not. You can start qualifying this week for as little as $.025. I am going to have a few line-up’s taking a shot, I hope you do as well! Visit here for full details. Rory McIlroy – McIlroy is not just the number one in the world, he is the clear number one, more than 4 points ahead of any of his rivals. He has achieved this dominance for a reason – he can do no wrong. Two Majors last year in a year that saw 4 victories and he started off this year with a 2nd and another win. In fact in his last 12 events he has finished in the top two an amazing eight times. You want another reason to pick him? He won this event 3 years ago and finished joint 2nd last year after missing out in a 4 way playoff. No his salary is not cheap – but McIlroy is a class apart. Sergio Garcia – Garcia made a return to the PGA tour last week and was very much in the mix for a win for most of the weekend. He eventually finished tied 4th, which has moved him from 7th to 6th in the world rankings. He made a habit last year of finishing runner up to McIlroy and he will want to put that right both this week and over the year. He won’t want that ‘Best Player never to win a Major’ to hang around his neck for another year. He played well here last year finishing 8th, his play over the final 3 days was good enough to win, but a 72 on Thursday left him with too much to do. Hideki Matsuyama – Matsuyama is a player who makes picking a roster difficult as you never know what you’re going to get. In his five events this year he has had 3 top five finishes, alongside a missed cut and an MDF. Depending on which Matsuyama turns up, you’ll either have great value or you’ll be wondering why you picked him. Personally I think he is worth a pick. Ryan Palmer – Palmer has had a very good start to the PGA tour season, starting off with 17th , 10th and 2nd place finishes. He missed the cut in his last event and after a week off returns this week to a tournament he likes, missing out in the 4 way playoff last year. The missed cut last time out is a worry, but he didn’t set the world alight at the same event last year (32nd) and this didn’t stop him contending. Louis Oosthuizen – Oosthuizen is a player whose career has taken something of a backward step recently, his world ranking of 44 much lower than his high of 4th. However, His last 5 events at the end of last year saw finishes of 6th, 14th, 6th, 7th and 2nd so it’s clear he has found some form in his game. This is his first event of 2015 and usually this would put me off – however his first event of 2014 saw him win, so I think he is worth a pick. Russell Knox (sleeper) – Knox is having an up and down year so far with two top twenty finishes and two missed cuts so far. Last year he entered the Honda Classic on the back of a missed cut and nearly won the tournament, being one of the four in the playoff. Like Matsuyama I see Knox as something of a gamble this week, but a big week wouldn’t be a shock. Boo Weekley (sleeper) – This long time member of the tour is very consistent with only 11 missed cuts in his previous 60 tournaments, although it has to be said that 2014 was something of a disappointment with only three top ten finishes. 2015 has seen a bright start with 3 straight made cuts including a top ten finish and in each of the last two years here has been bang in contention come the weekend – dropping away over Saturday and Sunday. Hopefully he might have learnt from this and stick around – he certainly knows how to go low here. Carlos Ortiz (sleeper) – Ortiz has had top twenty finishes in both of his last two starts on the PGA tour and was in the mix at the Northern Trust Open until a disappointing Sunday. Ortiz was fascinating last year on the Web.com tour, winning 3 times as well as having a series of missed cuts (one of the wins came on the back of 2 missed cuts). This makes Ortiz a very high risk pick, but if you want a player on form who knows how to win, this could be your man.